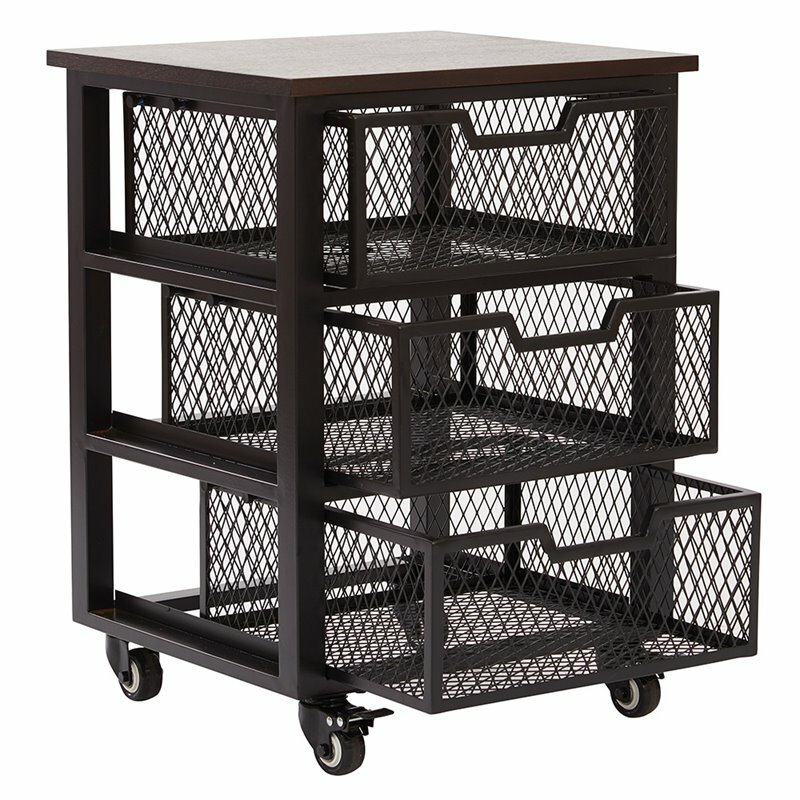 The 3-drawer rolling cart is the very definition of harmony between practicality and style. It's attractive contemporary wood and black metal design masks its ultimate functionality as the perfect fully assembled casual drawer set . Four mesh cage metal drawers within a sturdy metal frame extract to safely cradle an assortment of supplies or belongings, and an espresso finished wood top is a choice spot for home decorum. 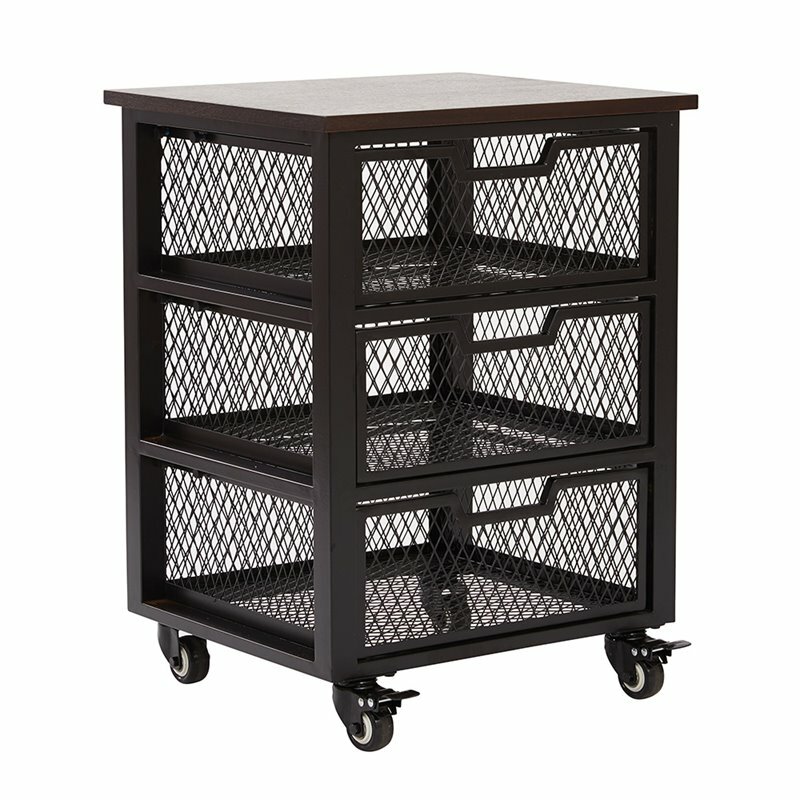 With two locking wheel casters, your conveniently mobile storage solution instantly stays in place in any environment you prefer. This consumer rating is based on 550 reviews of all Office Star products. The Office Star OSP Designs 3 Drawer Storage Unit in Black has not yet been reviewed, be the first!